Tennessee tackles textbooks, OSHA signs another alliance and a test of new bioterrorism alerts for health care professionals. Joining a handful of other states looking at ergonomics issues relating to education, Tennessee is considering a bill that would limit the weight of textbooks for the state’s public school children. Sponsored by State Representative Paul Stanley, the bill would require the State Board of Education to set a maximum standard weight for textbooks used in Tennessee. California already has a law in place requiring a set maximum textbook weight to be determined by 2004. Georgia is also considering similar legislation. New Jersey’s State Assembly and Senate have taken the concept a step further by approving a bill that would require a task force to review how to best implement ergonomics education into the classroom. On March 19, the American College of Occupational and Environmental Medicine (ACOEM) signed an alliance with OSHA focusing primarily on ergonomics. Looking for a faster and more efficient way to communicate bioterrorism information to health care professionals, the U.S. government announced on Friday that they would begin testing a system that relayed the information via handheld computers, or PDAs. Delivering the information through an already-handy PDA could mean an increase in productivity and a more efficient use of resources with fewer errors, all of which adds up to sound ergonomics. Previously, during anthrax scares in 2001, doctors were notified and given specific information regarding treatment and diagnosis via teleconferencing and the Internet. The current PDA test includes a three month pilot period to determine whether PDAs, rapidly becoming standard issue for most doctors, would be a more efficient and effective means of transmitting information to health care professionals about bioterrorism attacks. According to a Scripps-Howard News Service article, the test message for the pilot project will consist of a memo regarding six diseases that the federal government considers to be the greatest current threats to the public. The test message will include links to web sites containing more information for diagnosing and treating the diseases. 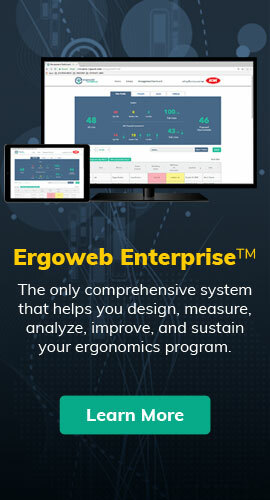 The results of improving the flow of critical information to health care professionals could ultimately make the front line of defense against a bioterrorism attack more effective and efficient at saving lives, by embodying a goal of ergonomics — improving human performance.